Never leave your sword at home again with the help of this Imperial Swordholder. Guardsmen and fighters within the Imperial family can always be ready to attack or defend when they wear their blade at their hip with this piece. 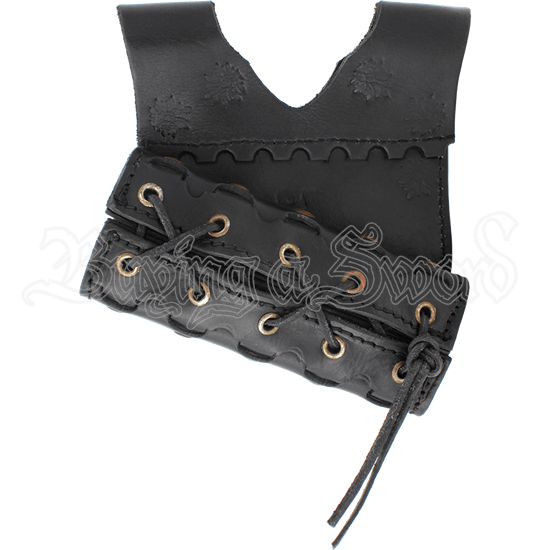 This LARP swordholder is made of full-grain leather that has been vegetable tanned for a high quality appearance, and it has a laced closure. The leather LARP frog hangs from your belt and comes ready to be worn on the left hip. Choose the best look for your ensemble from the mix of colors available, which include all black, black and brown, black and red, or black and green options. To change over the frog, the sword tube can be unlaced from the backing. 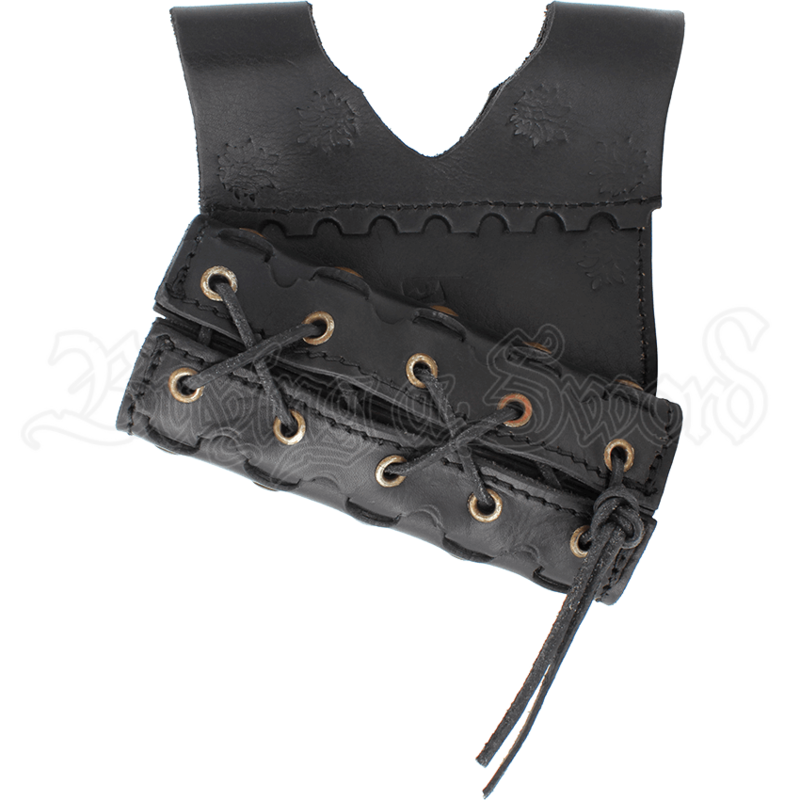 Once unlaced, the backing can be flipped and the sword tube can be re-attached, reversing the angle and allowing this swordholder to be worn on the right hip. See above pictures for an example.